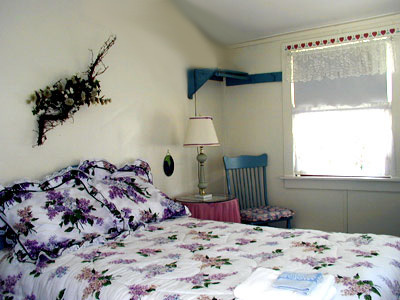 The Rainbow House Guest Cottage offers charming guest rooms that make you feel at home. Take a tour of some of the rooms below. 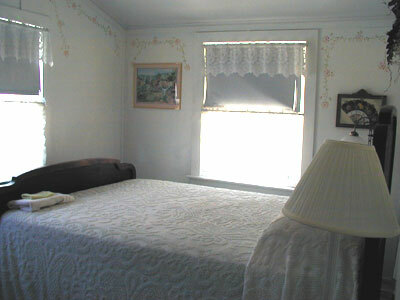 This charming corner room allows plentiful sunshine in to add warmth to your vacation. 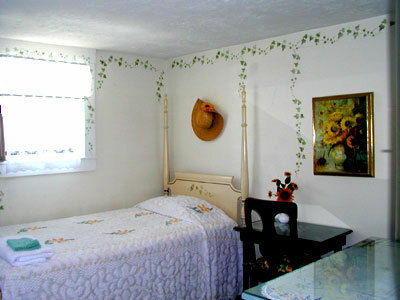 Enchanting English vines decorate the walls in this delightful room. Use the dresser to store personal items; sit at the desk to write postcards to friends back home telling them what a great time you're having. 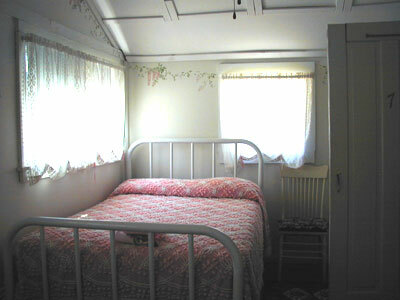 Cuddle up for a romantic evening in this corner room which captures the elegance of the Victorian era. 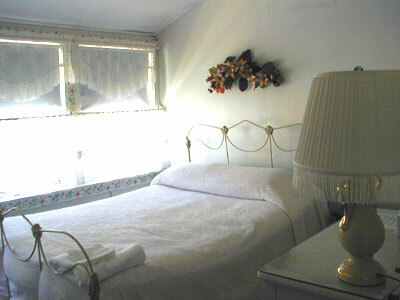 After a day in the park find relaxation and repose in the brilliantly sun-filled room. Open the windows and welcome in the refreshing breeze of a cool summer's evening. Lovely wisteria vines dangle and drip along the walls and beams of the cathedral ceilings in this delightful room.